New Delhi/ Bangalore : Allegations of graft returned to haunt the Congress-led United Progressive Alliance (UPA), with two top cabinet ministers, home minister P. Chidambaram and external affairs minister S.M. Krishna, facing potential charges in unrelated cases. Political observers say the two have the potential to not only cause further damage to the image of the government and the Congress, but also revive a debate over the role of the cabinet in the 2G spectrum scandal. However, they are divided on whether the events would force either minister to resign. Meanwhile, Karnataka’s Lokayukta police registered a first information report (FIR) against Krishna, who served as the state chief minister from October 1999 to May 2004, for allegedly permitting illegal mining in Bellary and other parts of the state in lieu of kickbacks. The FIR also named former chief ministers H.D. Kumaraswamy of the Janata Dal (Secular) and Dharam Singh of the Congress, alongside 11 bureaucrats, who were booked under the Prevention of Corruption Act, Forest Conservation Act, Forest Act, Minerals and Metals Regulation and Development Act, and the Indian Penal Code. B.S. Yeddyurappa of the Bharatiya Janata Party quit as chief minister of Karnataka over the illegal mining issue on 31 July. Opposition parties didn’t waste time in asking for Chidambaram to step down and disrupted proceedings in the Rajya Sabha briefly. Swamy also said the home minister should resign. The “two developments are certainly politically very damaging", said Pratap Bhanu Mehta, president of the Centre for Policy Research. “The government has so far not been able to persuade people to believe that A. Raja (former telecom minister) was alone in executing the scam. The court order will bring back the debate on the core issue of the spectrum scam that (it) is the collective responsibility of the cabinet. Secondly, it was the Lokayukta report that forced Yeddyurappa (to resign), so most people will read it as double standards if Congress defends Krishna in the mining scam." 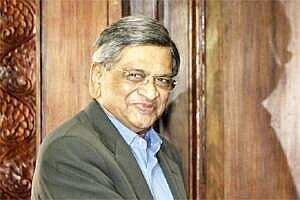 “One Bill that all parties have some interest in discussing is the Lokpal Bill," Mehta said. “If Parliament fails to make some space, that might lead to questioning the credibility of Parliament by the public. So I think the opposition will not disrupt Parliament on this." Anti-corruption campaign leader Anna Hazare has warned the government that it should enact an effective Lokpal Bill in the current session of Parliament, which is scheduled to end on 22 December. Chidambaram refused to comment on the court’s order and the opposition’s call for his resignation. Krishna responded to being booked by the police, saying if he remained silent, it would lead to “speculation". Krishna put the blame for any illegal mining on the state’s department of mines and geology, adding that he never held the mines portfolio. He said that former Lokayukta Santosh Hegde’s “comprehensive enquiry" did not indict him. His emailed statement said the “judiciary would vindicate me" and put the allegations to rest. Law minister Salman Khurshid defended his cabinet colleague, saying such demands for resignation were not fair. “I think it is extremely unfair. Please respect a person’s dignity and a person’s right to do a job fairly, squarely and do it according to law," he told reporters. Khurshid said he did not think there was anything in the court’s observations that could raise questions about Chidambaram or the government. Jai Mrug, a political analyst, said: “The larger political fallout if Chidambaram is forced to resign would be that the 2G case will draw one step closer to Prime Minister Manmohan Singh; this will stir up the debate on collective responsibility. After Ashok Chavan (former Maharashstra chief minister) was asked to resign, the Congress has been more cautious, it might not hasten to coerce ministers to resign based on prima facie charges." Khurshid said: “Chidambaram is in the government. He is part of the government and we are all part of the government, and we all stand together." The special court allowed Swamy to bring additional evidence against Chidambaram. “In view of the fact that the complainant (Swamy) was not aware of the identity of additional proposed accused(s) (Chidambaram) at the time of filing the complaint, but has now come to know about it he is not prevented in law from leading evidence on this point," said Saini’s order. According to Swamy, Chidambaram was complicit with Raja in the licence and spectrum allocation. Raja has argued before the Supreme Court and the special court that all the actions he is being charged for were known to Chidambaram and the Prime Minister. In Bangalore, the Lokayukta police acted on a private complaint filed by T.J. Abraham on 3 December. Judge N.K. Sudhindra Rao had directed the police to investigate it and submit a report on or before 6 January. Abraham, a city-based social activist and a businessman, had submitted that his complaint was based on the report on illegal mining presented to the government by Hegde in August. “The 2003 cabinet decision by a government headed by Krishna opened a Pandora’s box as far as illegal mining is concerned," Abraham said. Abraham’s private complaint refers to a decision by the Karnataka cabinet in 2003, when the government de-reserved for private mining nearly 11,620 sq. km in the state meant exclusively for state exploitation or mining by the public sector, a chunk of which consisted of reserved forests. Krishna de-reserved these areas for mining by ignoring advice from the department secretary, Abraham alleged. Krishna later rubbished this claim: “When a gazette notification (to de-reserve forest) has been issued it is abundantly clear that nothing has been done in secret," said the minister’s statement.